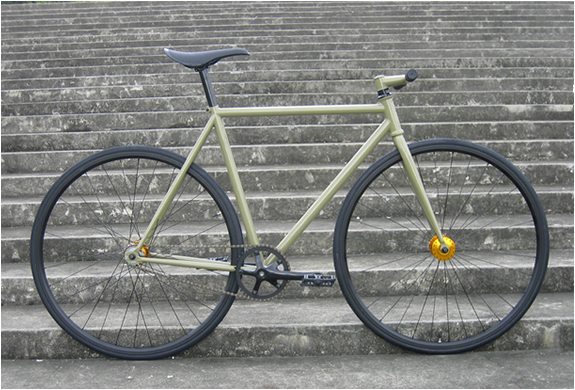 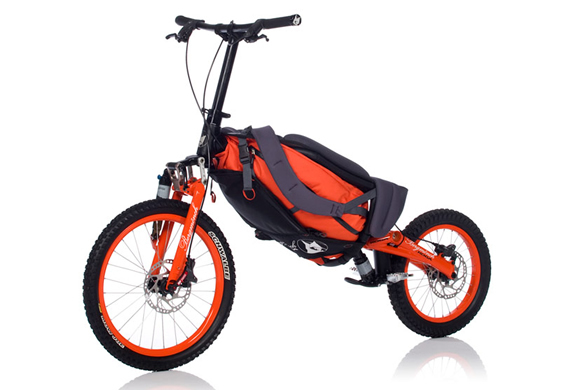 Bergmönch, a combination of a rucksack and a downhill machine. 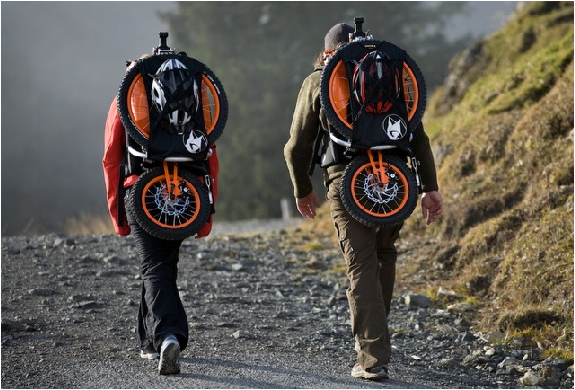 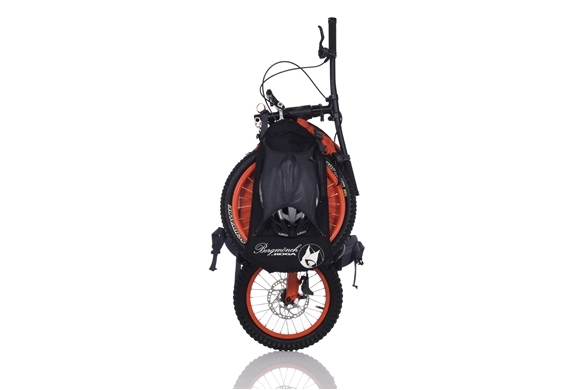 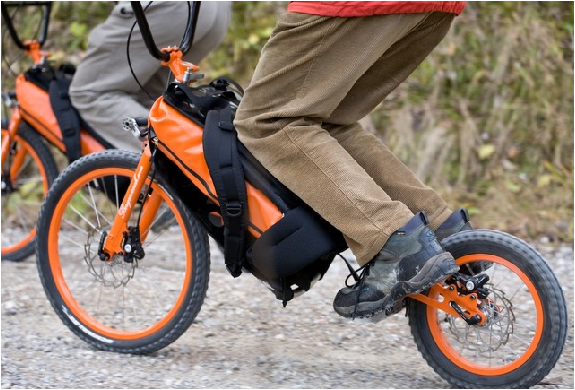 Due to a smart folding construction, this two wheeler can easliy be converted into a backpack. 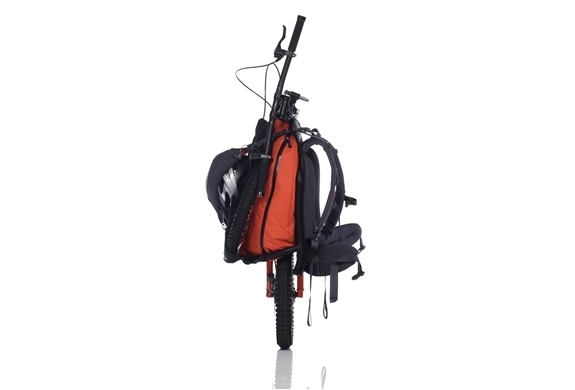 It consists of a ergonomic design, high wearing comfort, aerated backplate, shoulder belts, hip belt, height adjustable chest strap.